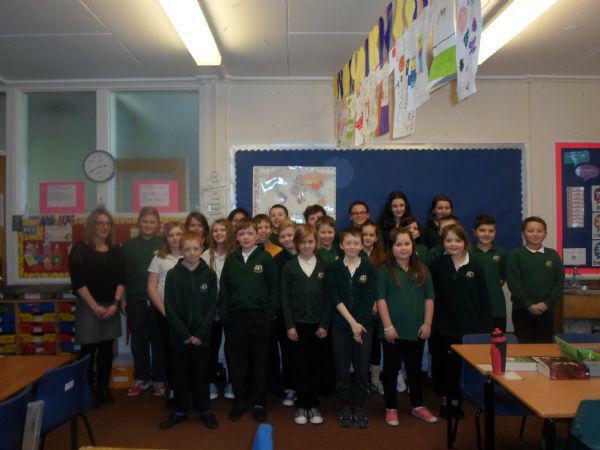 On Thursday 28th January, a survivor of the 2004 Boxing Day tsunami came to school to tell us first hand what her experiences were of being involved in the terrifying natural disaster. The children listened intently while JUlie told stories of water rushing in through the edges of the door; black, dirty water swooshing into her bedroom filled with bugs and beasties and other people's belongings; managing to save her credit card and passport; finding her skirt wrapped around a palm tree; how two fallen palm trees saved a van from crashing straight into her room....and so it goes on. It really was captivating listening to it and I think we are going to have lots to write in our thank you letters tomorrow. Click here to see all of our amazing competition entries. Dancing and animals. A busy week! Getting our hands on the Scottish Cup!! Christmas fun in Primary 1! All things Christmas- Parties and jumpers! Science Festival - Nocturnal Animals UPDATE! !